This mornings post is more of a Pet Peeve than a frugal tip, (Sorry folks!). Lately, I’ve received more than 60 link requests to the site and several posts to my discussion list and forums of sites that are “Offering to help get people out of debt”… but wait.. there’s a catch! The catch is, one must spend $10-500 to get out of debt! I’m sorry, but if you are already IN DEBT, how exactly is paying some fool $10-500 of your hard earned money going to get you OUT of debt?? Seems to me, these fools are putting people deeper into debt. 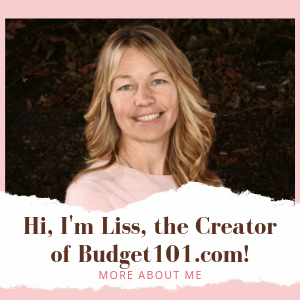 To get out of debt, one must simply create a budget that he or she can live with, find a few areas in your life where you can reduce your expenses, and apply that money to your back debts. For me & my family, it was the grocery bill. The average American family of 4 spends $600+ per month on groceries alone. In our home, we spend an average of $250 a month. Once I was able to drop that bill from $600 down to $200-250, I applied the savings (the amount I was already used to spending!) to pay off back debts, to the tune of $350-400 a month! Folks, seriously, you don’t have to pay some yahoo money to learn how to get out of debt. You need to sit down, write down all of your expenses, figure out exactly where your money goes and then determine where/what you can save and pay off first.